The three points of light embedded in the axe head form the foundation of this weapon. 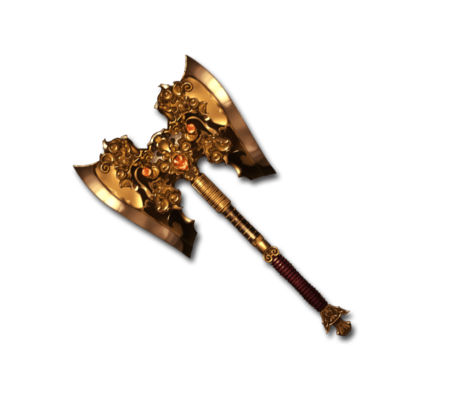 Their arrangement calms chaos, helping this karmic axe bring many things into creation. This weapon cannot be reduced until Step 1 of 5★ uncapping Threo has been completed. This page was last modified on 23 October 2018, at 18:49.